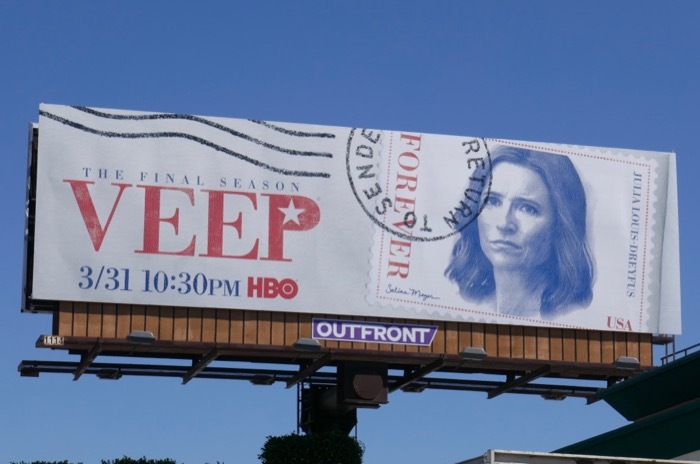 HBO's Veep may be coming to an end this year, but Julia Louis-Dreyfus 'Selina Meyer' will live on forever in our hearts. 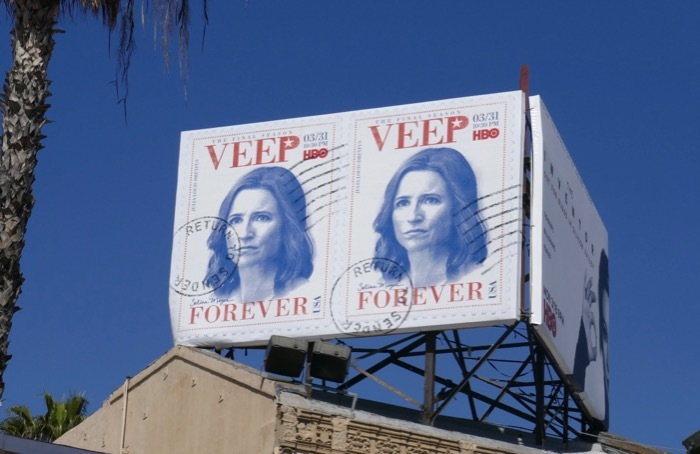 The 'Forever' stamp key art for the show's seventh and final season is the perfect visual to commemorate the political satire after years of laughter. 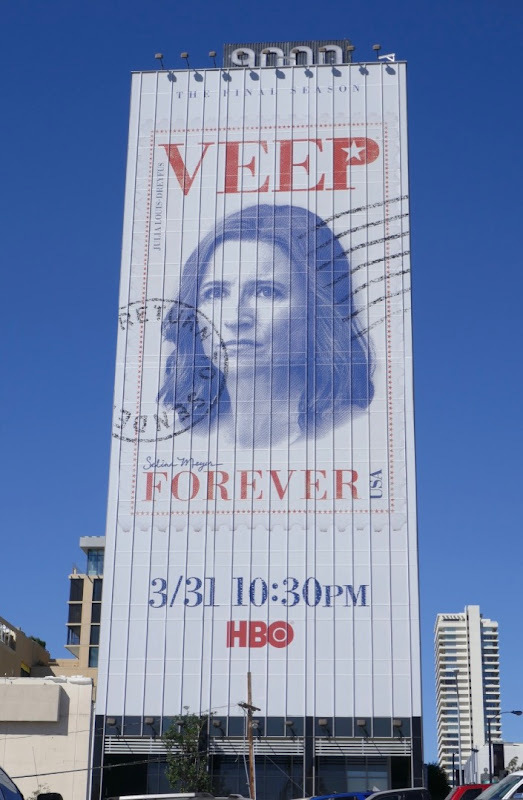 The Emmy-winning actress returns after her own real-life battle with breast cancer for more hilarious moments with her onscreen staff and wider political circle played by Tony Hale, Anna Chlumsky, Matt Walsh, Reid Scott, Gary Cole, Kevin Dunn and Timothy Simons, to name but a few. 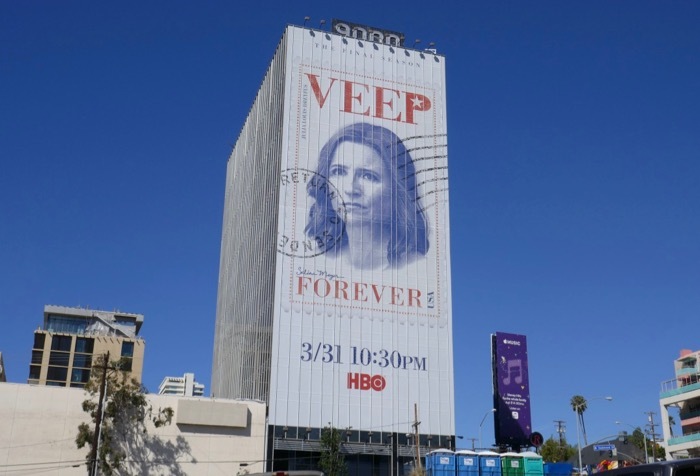 This season the former Veep and ex-POTUS is running for office again, a comedic lens through which to show how broken the current American political system and Washington, D.C. is. 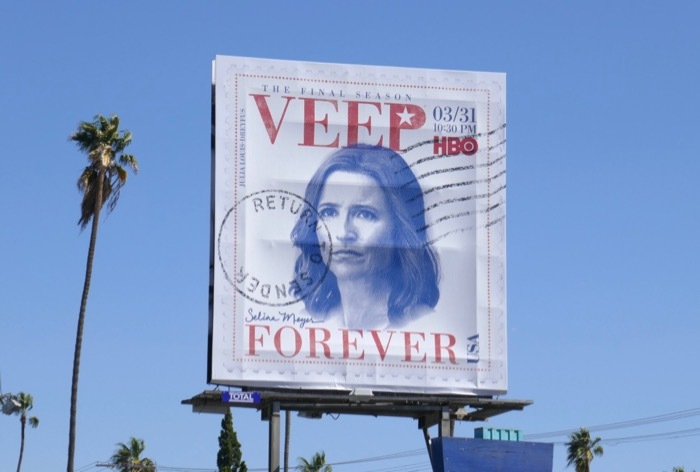 With only seven all-new episodes to enjoy this final outing, you'd best savour every moment of Selina and her team. 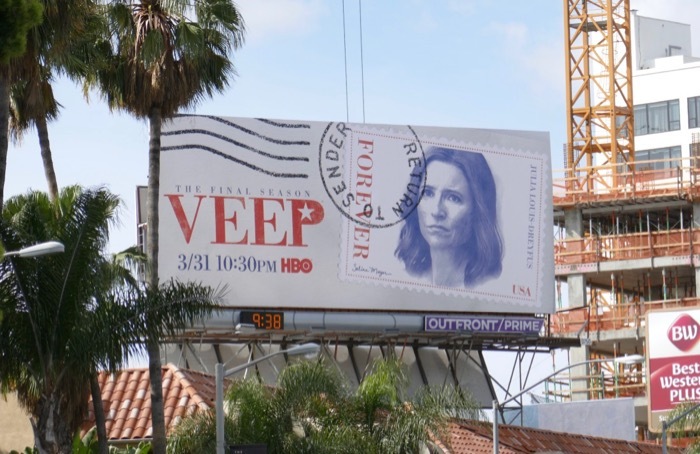 These fun stamp-themed final season billboards were snapped above the Sunset Strip, Pico Boulevard, Hollywood & Highland and Hollywood Boulevard from March 4 to March 16, 2019. 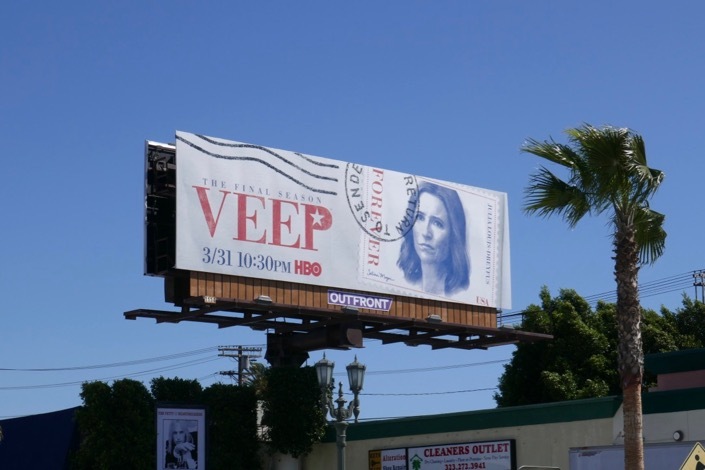 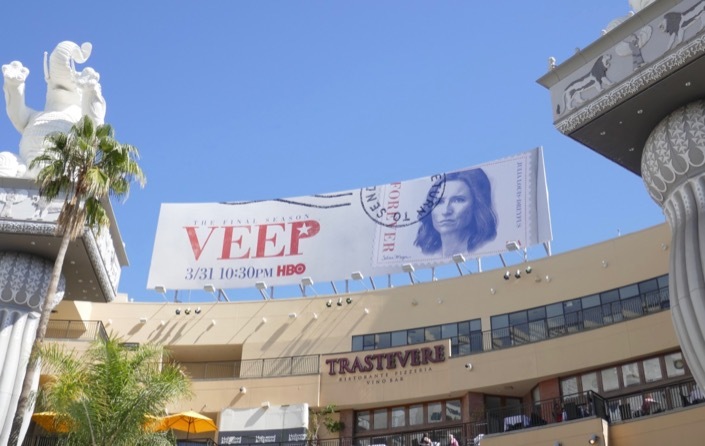 Fans of the HBO show can also enjoy all the previous season promo and awards consideration billboards for Veep from 2012 to date, which have featured fun spoofs of Mount Rushmore, Washington Crossing the Delaware, the Iwo Jima Memorial and Obama's 'Hope' campaign imagery. 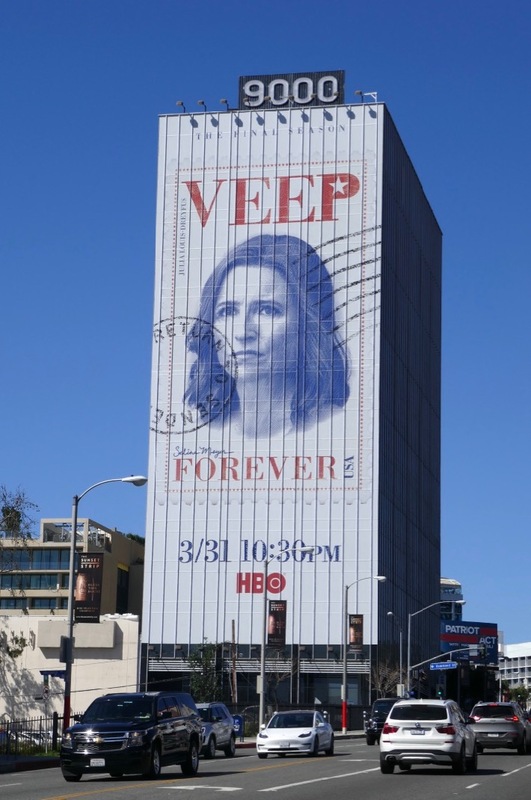 With the current corrupt administration and divisive rhetoric permeating U.S. politics in recent years, it's nice to have something to laugh at and poke fun of when it comes to politicians and the world they move in at the moment. 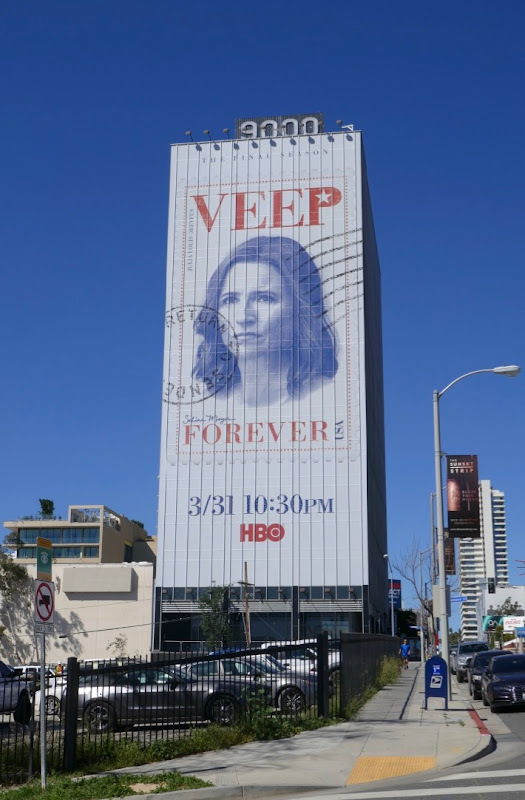 Veep may be ending soon, but its triumphant legacy will live on forever.